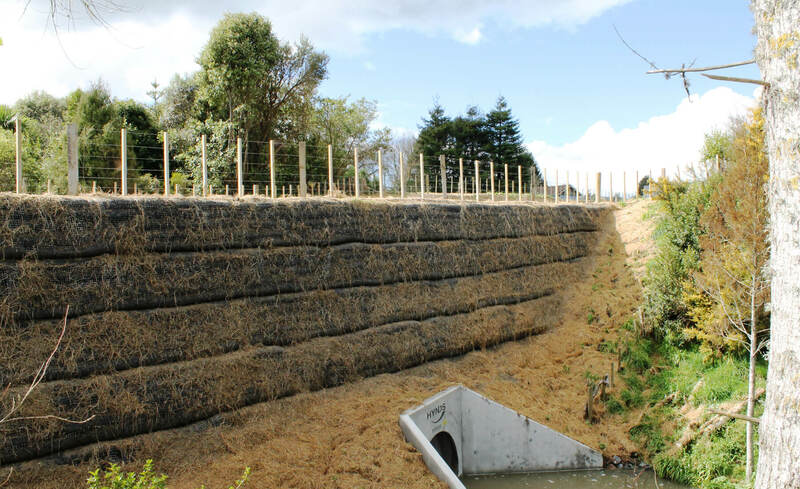 The DuraGreen is a vegetated reinforced soil wall system, also called Mechanically Stabilised Earth Wall (MSEW), that is a proven engineered solution for slopes up to 70 ̊. 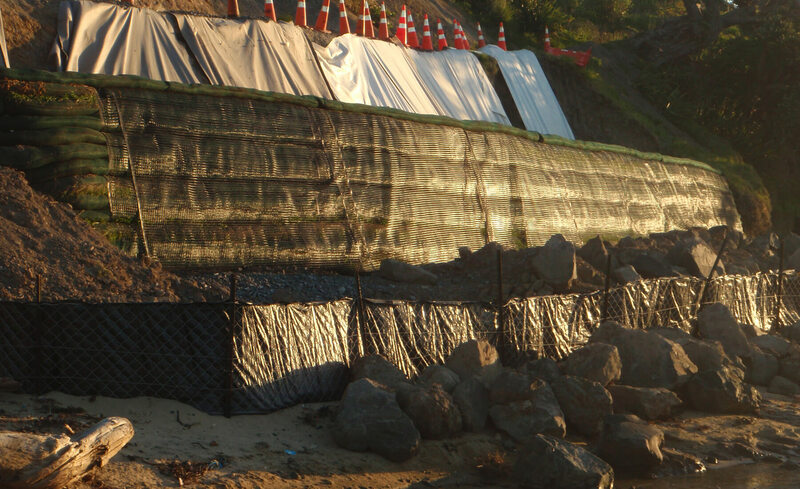 DuraGreen is a cost-effective and fast method to build MSE wall systems and consists of StrataGrid® PET geogrid and soil filled facing socks or bags. The facing forms the correct angle and provides a medium for vegetation to establish. 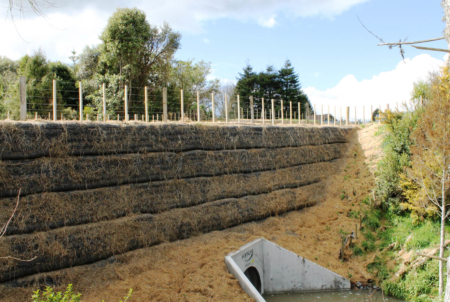 StrataGrid is wrapped around the face to form the face angle, bags or socks filled with soil are used this provides a medium for vegetation to establish in. 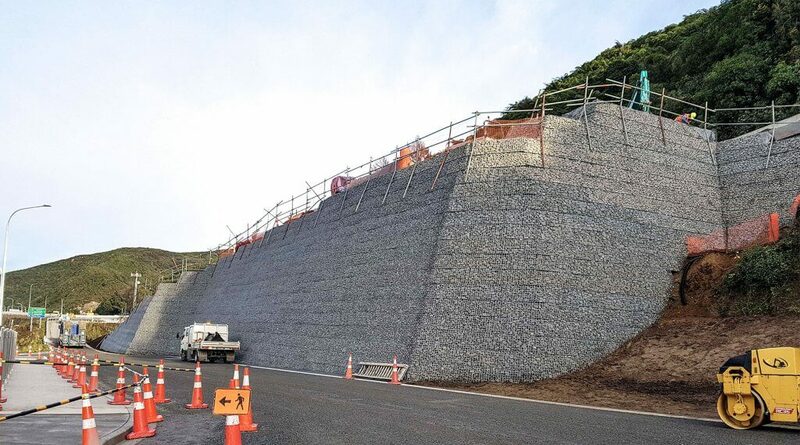 MSEW’s are becoming increasingly popular as an economical and effective solution for steepened slopes and retaining walls. 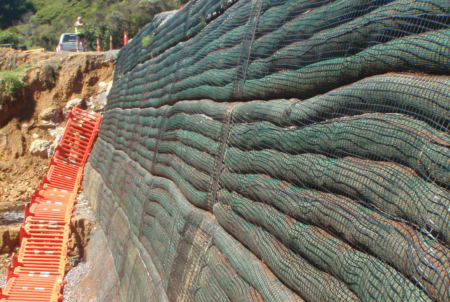 Each DuraGreen Reinforced Soil System component is carefully selected and engineered to work together to provide a structurally sound long term solution. 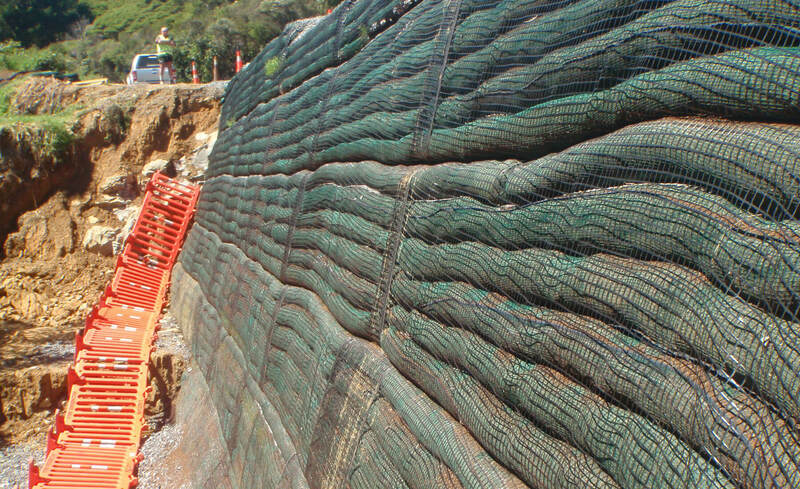 Cirtex® can provide design support using the latest slope reinforcement and MSEW programs. 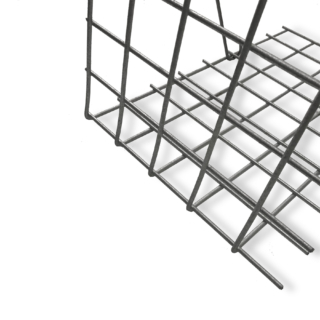 Cirtex also provides plans and methodologies in CAD format customised to suit your project. This is available either as a concept service free of charge or as a complete service with producer statement provided. Some costs would be incurred if a producer statement is required. Secudrain® is a Registered Trademark of NAUE GmbH & Co. KG. Registered in Germany. StrataGrid® is a Registered Trademark of Glen Raven, Inc. Registered in the United States. What is the difference between DuraSlope and DuraGreen? 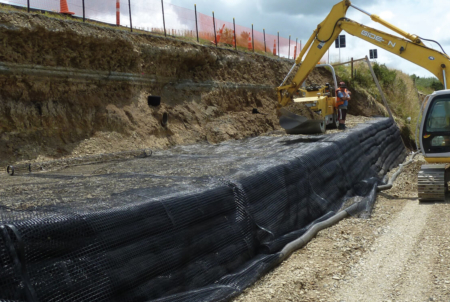 DuraSlope is for slopes 45 degrees and less where the face is not supported by the geogrid reinforcement and is protected by an erosion control product. 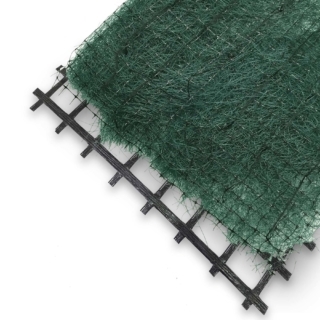 DuraGreen is for slopes up to 70 degrees and where the face has long-term support from the geogrid. 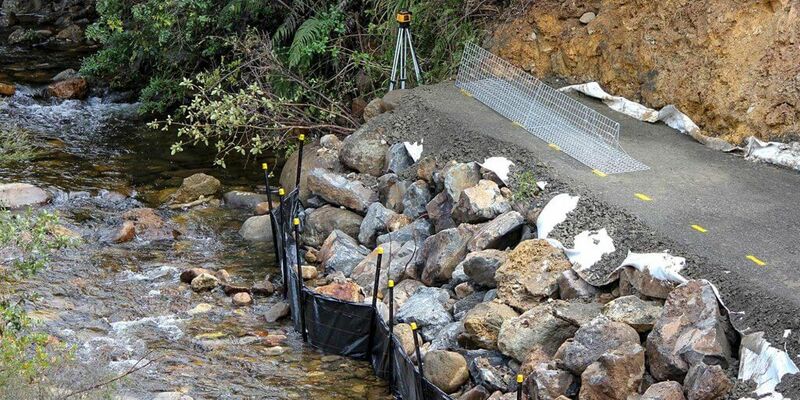 What is the secondary geogrid for? 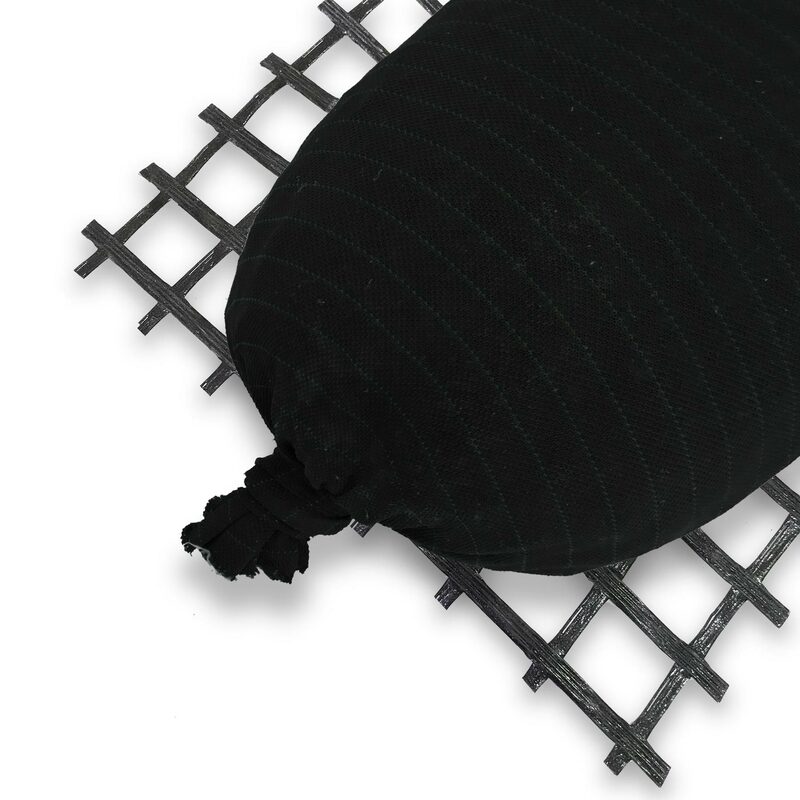 Secondary geogrid is for face stability and compaction assistance only, and the grade and type of grid is not as important as the primary geogrid, DuraGrid, is often used for this. 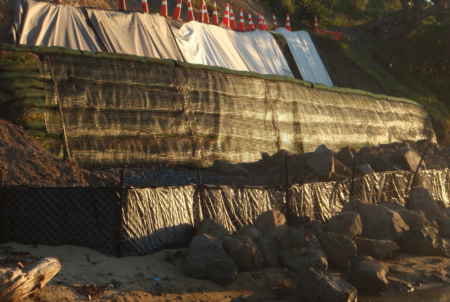 How is the geogrid at the face protected? The DuraGreen instructions give details for establishing vegetation on the face. 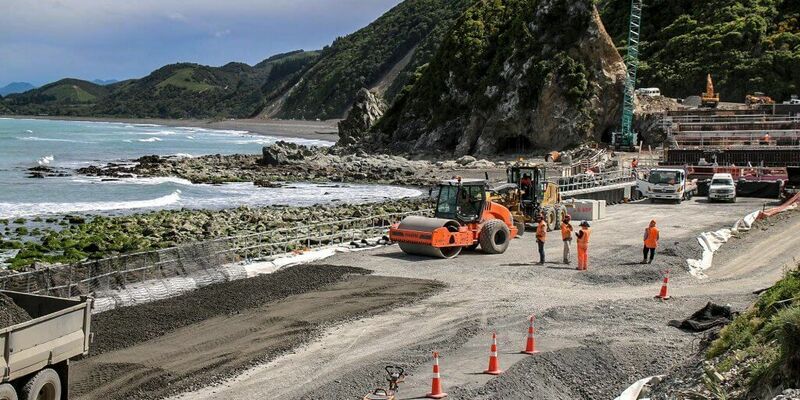 It is a requirement of the system that the face is protected with adequate growth and Cirtex has many examples of successful projects to demonstrate the effectiveness of this system. 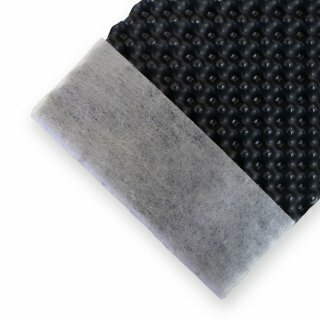 What is the design life of the DuraGreen system? Up to 120 year design life is available to the designer.